When most people hear the word mesothelioma, they immediately think of asbestos lung disease. 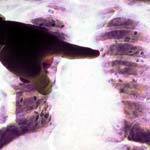 There are actually several types of mesothelioma asbestos cancer. 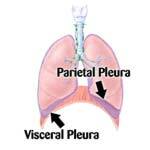 Malignant pleural mesothelioma is a cancer that affects the membrane surrounding the lungs. About 75 percent of the patients have this type. Malignant peritoneal mesothelioma affects the membrane surrounding the organs in the abdomen. About 10 to 20 percent of patients have this type.